Data on langur (Presbytis entellus) populations were gathered from the literature to test the importance of three selective pressures in determining group size and composition: predation pressure, intergroup resource defense, and conspecific threat. There were no detectable difference in the size of groups in populations facing nearly intact predator communities compared to those populations where predators were severely reduced in number or absent, although there was a trend for the number of adult males per group to increase in areas with nearly intact predator communities. Using population density as an indirect measure of the frequency of intrusions into a group’s home range and thereby as an index of the demographic pressure favoring resource defense, we predicted that higher densities would result in larger defensive coalitions and higher numbers of females per group. This prediction was not upheld. Our third selective pressure, conspecific threat, encompasses those selective forces resulting from physical attack on females, infants, and juveniles. 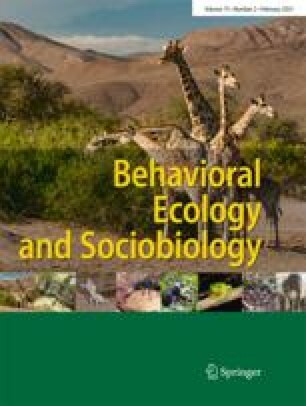 Our index of conspecific threat uses the number of non-group males divided by the number of bisexual groups, because in langurs, the major source of conspecific threat derives from non-group males who, following group take-over, kill infants, wound females, and expel juveniles from groups. This index of conspecific threat was strongly related to the mean number of resident females, was weakly related to the mean group size, but was not related to the number of males in the group. In addition, as predicted, populations with a high index of conspecific threat had higher levels of juvenile expulsion. These analyses were corroborated by a simulation model which used a computer-generated series of null populations to calculate expected slopes of immatures regressed on adult females. These randomly generated populations, matched to means and ranges of real populations, allowed us to determine if deviations of the observed slopes from the expected null slopes could be explained by variation in predation pressure, population density, or conspecific threat. We found no evidence that predation pressure was associated with decreases in immature survival in smaller groups, as would be predicted by the predation-avoidance hypothesis. We found no evidence that immature survival was compromised by small group size in high-density populations, as would be predicted by the resource-defense hypothesis. However, as the index of conspecific threat increased, groups with larger numbers of females were more successful than groups with fewer females in reducing mortality or expulsion of immatures. Overall, conspecific threat received the strongest support as a selective pressure influencing langur group size and composition, suggesting that this selective pressure should be evaluated more widely as a factor influencing composition of animal groups.